A Democrat from Orcas Island, Ranker resigned from office last month amid the investigation of allegations that he made unwanted advances and inappropriately touched a staffer in 2010 — and acted in a hostile manner when she then took another job with the state. 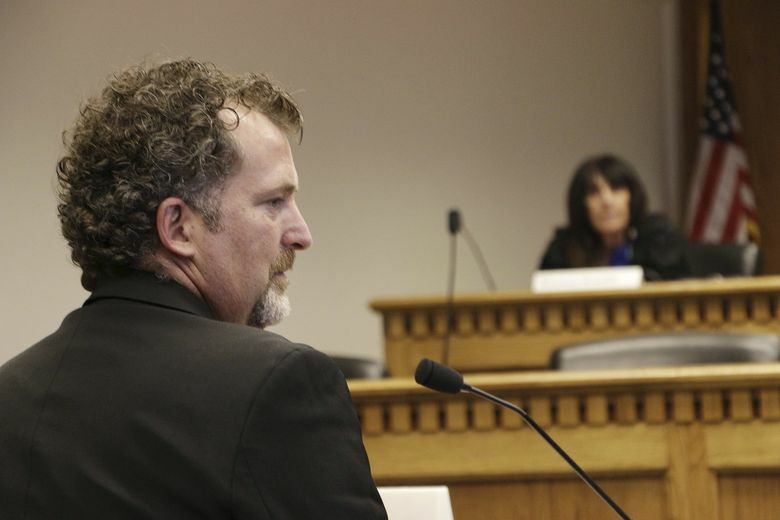 OLYMPIA — Former state Sen. Kevin Ranker harassed a female employee who worked for him and who later took a job elsewhere, an investigation commissioned by the Washington Senate has found. But the 10-page report concluded Ranker did not use his official authority to retaliate against Larson after a complaint she made against him in 2010. Ranker, a Democrat from Orcas Island, stepped down last month amid the investigation of allegations that, among other things, he made unwanted advances and inappropriately touched Larson in 2010. In a letter accompanying Friday’s report, Secretary of the Senate Brad Hendrickson wrote that he was recommending no disciplinary action against Ranker, given his resignation. The report comes as the state House and Senate revamp their workplace policies in the wake of the #MeToo movement. In a statement Friday, Ranker acknowledged he broke Senate policies. “While in the position of power as a boss, one must consider the formality of the workplace; all employees should feel supported and successful in their job,” he wrote in prepared remarks. In 2008, Ranker — who was and is married — and Larson had an affair, when he was a member of the San Juan County Council, and she was employed on the council’s staff. In 2009, after Ranker’s election to the Legislature, she took a job working for him in Olympia. During her time working in his office, Larson said Ranker would rub her shoulders when no one else was in the office, make flirtatious comments and encourage her to stay late and drink wine, according her account in the report. When she rejected his efforts, Ranker treated her disrespectfully and boosted her work demands. Three witnesses interviewed for the investigation said Larson told the witnesses in 2010 that Ranker sexually harassed her. Larson in 2010 complained about the misconduct to Senate officials, and later, to her agency leadership. Her account in the report described her as “terrified and paralyzed” when discussing the complaint with Senate staff that year. Larson also said she feared how she would be treated at the Legislature if she made a sexual-harassment complaint. During the investigation, Larson ultimately concluded that in her 2010 complaint she probably didn’t specifically discuss sexual harassment, and the report found she likely talked about only general misconduct. Given that, the report found that the Senate properly handled that complaint. After her 2010 complaint, Larson took a role as legislative director of the state Department of Fish and Wildlife. There, Ranker treated her with hostility — including yelling and making disparaging remarks about her — and threatened to reduce funding for the agency where she had taken a new job, according to her account in the report. Ranker initially denied those claims, and described a text messages about cutting agency funding as a joke.